The university’s satellite campus in Wilmington gives students unique opportunities. The Associate in Arts Program (AAP) is an enigma for most Newark Main Campus students. Everyone seems to know that the university has satellite campuses (there are four located in Wilmington, Dover, Georgetown and Lewes) but few seem to know what really goes on there. The program, led by English Professor David Satran, comprises around 22 full-time faculty and around 50 adjunct instructors, all described by Satran as “experienced, committed, devoted, and credentialed,” as well as around 850 students enrolled in the program itself. The main campus student perception of satellite campuses tend to follow the same train of thought — how it was too much like high school, how AAP students were ‘missing out’ from a traditional college experience — but the Wilmington campus has its own charms, according to those involved. In an effort to address the apparent divide between satellite and main campus students, Satran emphasized the opportunities AAP students have. In Wilmington, the university has its own building called the Downtown Center and a UDairy branch where some students work. In general, the program at face value seems typical — it’s like the Newark campus experience, but the satellite campuses differ fundamentally. Many students enrolled in AAP are getting two free years of education through the state-funded Student Excellence Equals Degree (SEED) program. Some students that commit to the university are excited by the concept of it being deemed the No.1 party school in America, but AAP student and SEED scholarship recipient Morgan Nicholson was repelled by it. Nicholson made a commitment to sobriety after personal struggles about a month before her freshman year. Initially, she had two underlying fears about the program: she didn’t want to be surrounded by the partying and drinking in Newark, but was also worried she would be left out of the main campus experience. 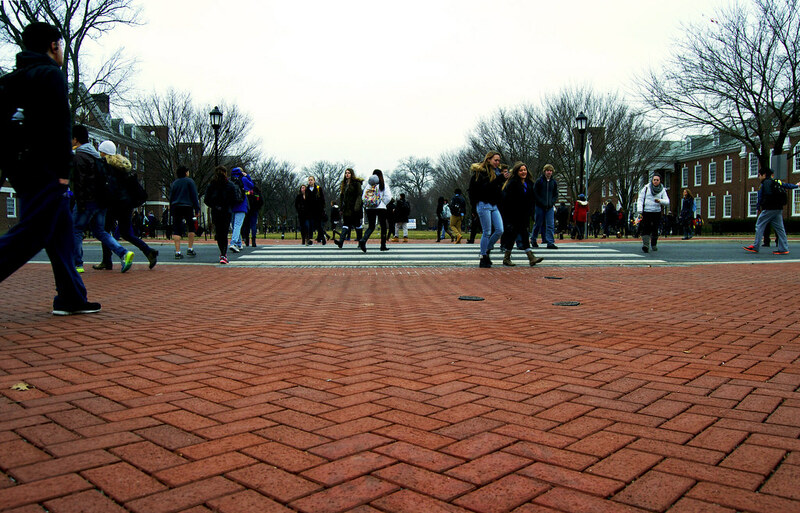 Yet, she said she quickly realized that wasn’t the case, remarking that even though the Wilmington campus is essentially a “subsection” of the university, she feels in touch with the university. “For the first few weeks here I was like, ‘I’m not on main campus, poor me,’ but then I stopped doing that and started paying attention to the things that were going on around me and all of a sudden I was like … this is so cool,” Nicholson said. She recalled an instance of interaction with the community during a leadership course she took with Professor David Teague, where her group got to work on a garden for the Young Women’s Christian Association. She went on to note how special and beautiful that experience was, as she felt most students on the main campus usually don’t get opportunities like that unless they’re specifically looking for them. Students cannot relocate to the Newark campus without finishing their associate degree first, there may be no room to possibly fail a class and still receive their degree in two years. The AAP gives its students the opportunity to receive their base sixty credits to reach junior status and the guidance to transform their interests into significant career options as well. Her only qualm was a relatively new issue: parking. By 8:30 a.m., she said, students either have to pay for parking or park in an overflow lot at Frawley stadium two miles away. There, they take a shuttle bus to a stop close to the university building. A tour of the large Downtown Center building revealed its contents, filled with students studying in the main lounge and large classrooms full of technology for student success. Its main decorations were photos of main campus plastered on the walls, meant to remind AAP students of their long-term goals. It seems the only difference between those that are in the program and those on the main campus is simply the choice they made for what they think is best for them and their education. 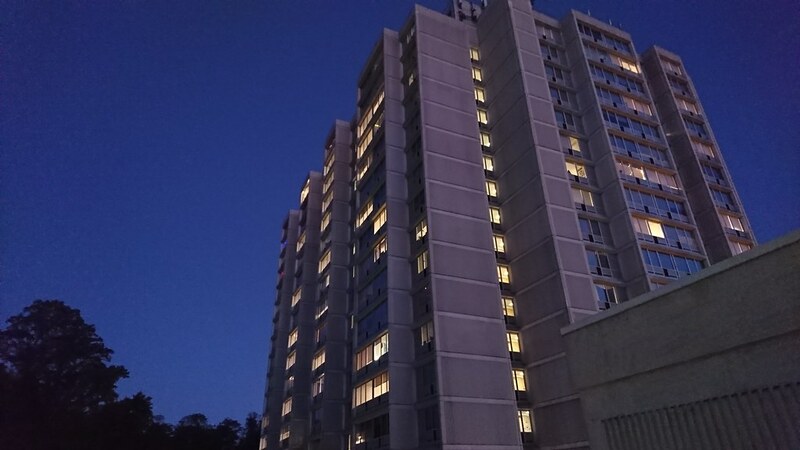 The university announced that it will be closing the Christiana Towers at the end of the academic year. The Faculty Senate reconvened on Monday, Nov. 5 for its monthly general meeting.